Self-contained steel files have integrated caps and can be bolted together for stacking. 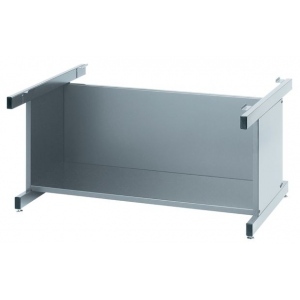 * Drawers have front metal plan depressor and rear hood to keep documents flat and orderly. * The drawer fronts are a double-wall construction. * Whether the need is for active or archival storage of drawings C-Files are perfect for the requirement and structurally provide the greatest protection of any plan file on the market.Black 20" high base with bookshelf for 7867C and 7977C series.